Sad news to report out of west Austin – Lindsay and Mike Rosenthal have announced the closing of 1379, their specialty retail store operating off Exposition Blvd since 2007. Both fixtures in the Austin fitness/sports scene, Lindsay was a standout volleyball player at Austin High School and led the team to the state title in 1992 before going on to earn All-Big East honors at Notre Dame. Mike was named the head football coach at Austin High School for the 2011 season and in December of that year became the school’s athletic director. The two met at Notre Dame where Lindsay wore number 13 and Mike wore number 79 – hence, 1379. 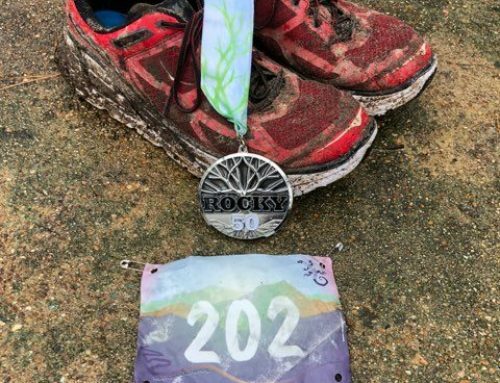 The closing marks the third local specialty retail store to shutter in three years – RunTex in 2013 and Hill Country Running in 2014. After almost 10 years of laughing, growing, running, and playing with you and your families, we have decided to close our doors. It’s been so great to see some of the babies in our store grow into sports fiends. And some of the older kids we first fit into shoes moving on to college! Yikes! We have met so many great people and have so many memorable sports moments that it’s a bittersweet goodbye. Please know that we appreciate all of your “shop local” support and we hope you can continue to support Austin small businesses by shopping at Whole Earth, Rogue, and Ready to Run. Our #1 goal in everything we did and in every product we ordered was to inspire the families of Austin to stay active. So we hope to see you at the ball fields, in the gyms, and at the parks of Austin enjoying our beautiful city. Now for the fun part!! We get to sell the rest of our inventory and you get to enjoy our great deals! When we open the doors tomorrow at 9:30, the entire store will be 40% off. Yay!! Come say goodbye and let our wonderful staff know how great they are!